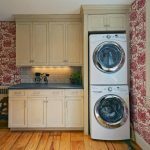 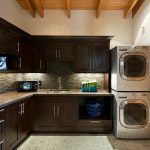 What fixture that you must have in your laundry room? 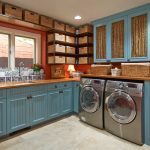 washing machine, dryer, cabinetry, ironing board, or even rattan basket are all the thing you usually find in your laundry room. 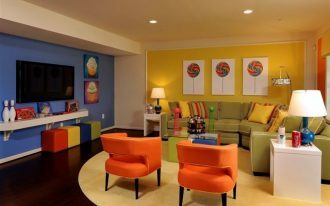 Not every person could organize the room, so it often turn into such messy warehouse. 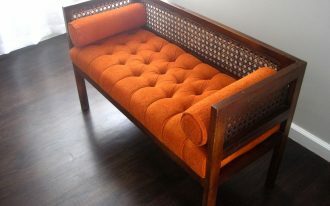 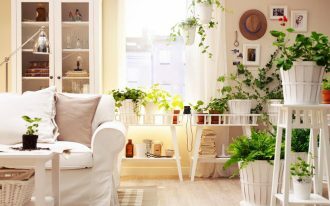 Finally, it is to lazy and tiring to work in that kind of room. 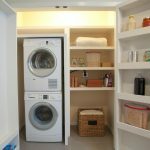 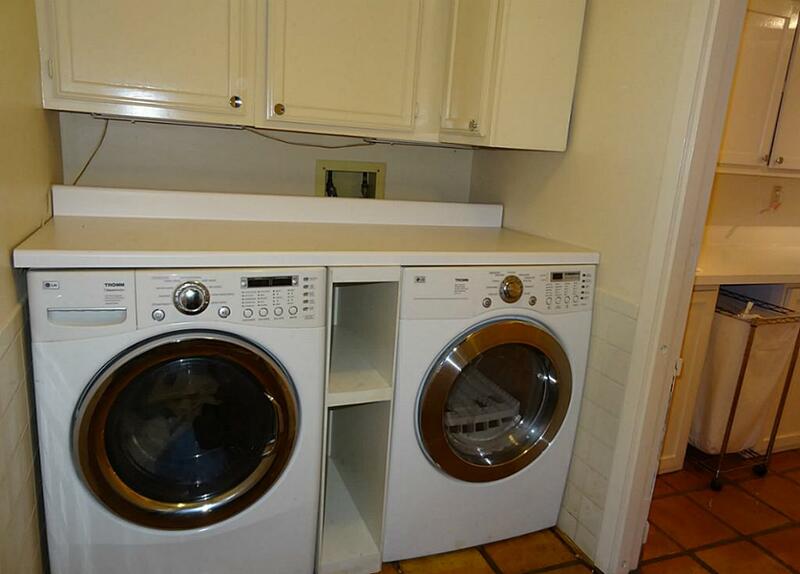 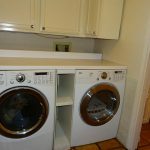 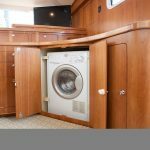 So, you may need some must have washer dryer cabinet for tidy and clean laundry! 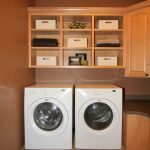 It never has been a matter to have a small laundry room if you know the way to organize it. 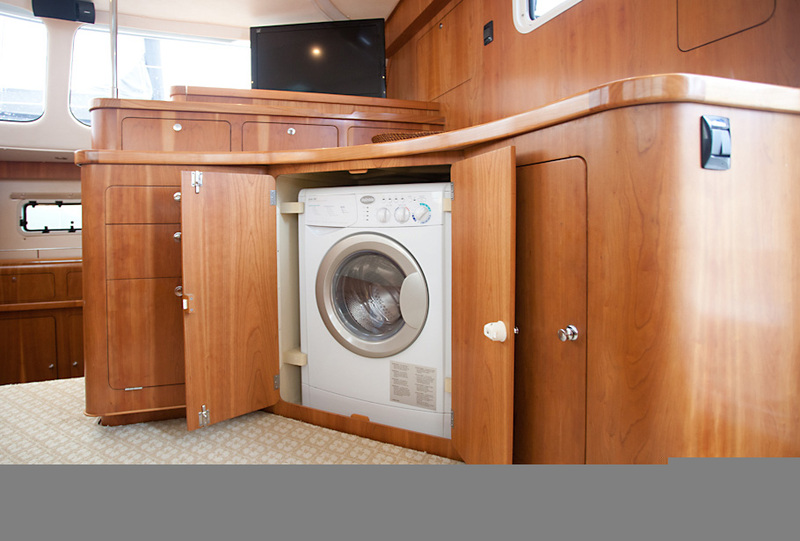 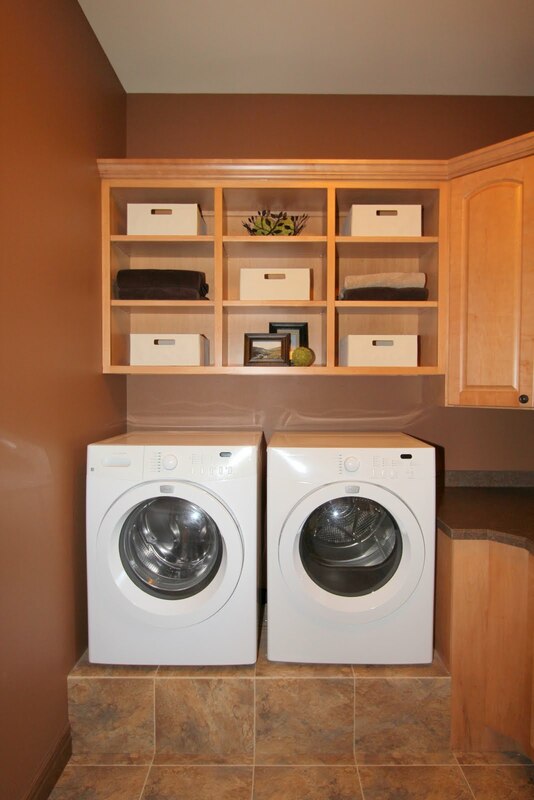 With simple washer and dryer cabinet design, you can put the washing and drying machine in the storage in tidy style. 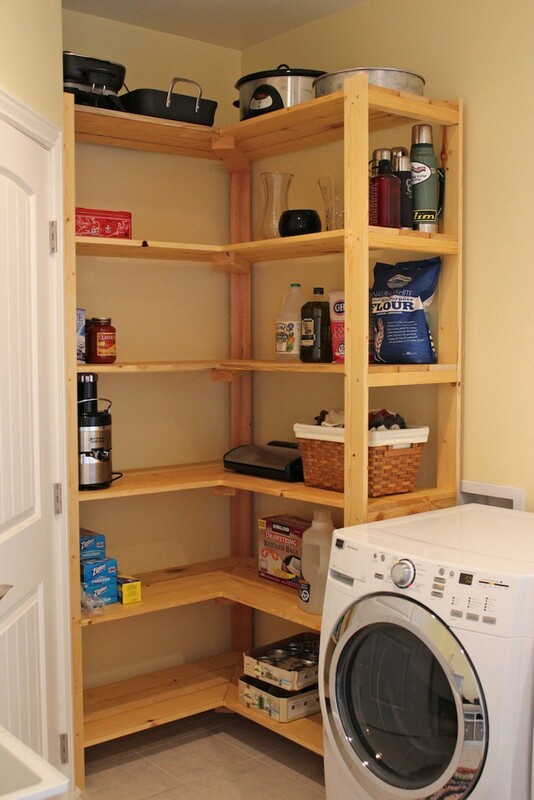 In addition, it is also added with upper storage above the cabinet to put some needed stuff . 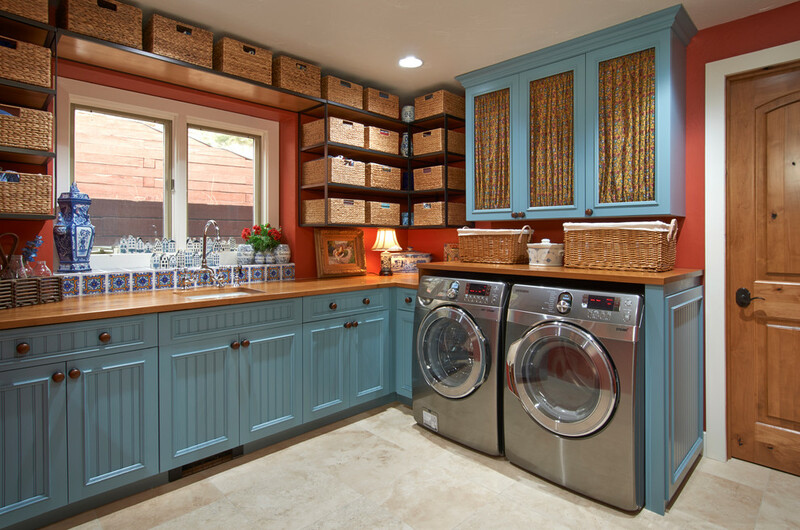 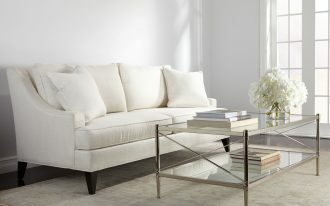 It proves you that even a small room could be a maximal effort to have clean and tidy nuance. 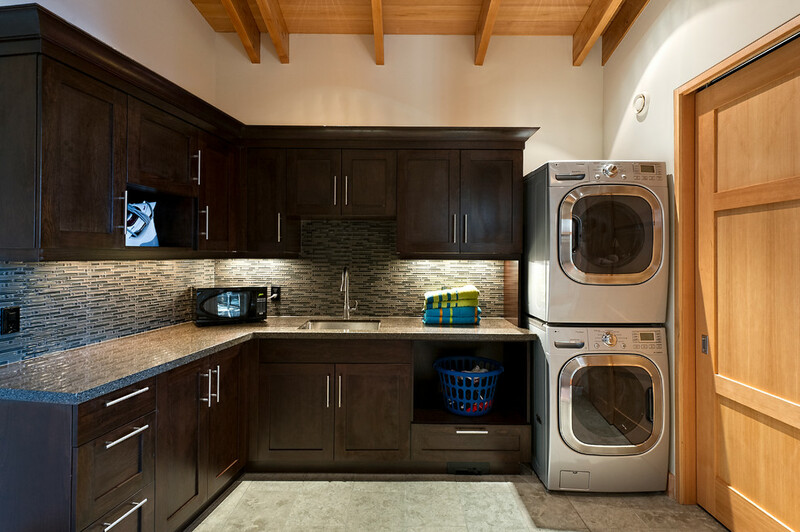 Further, a recessed white cabinet design fills the laundry room with classy style. 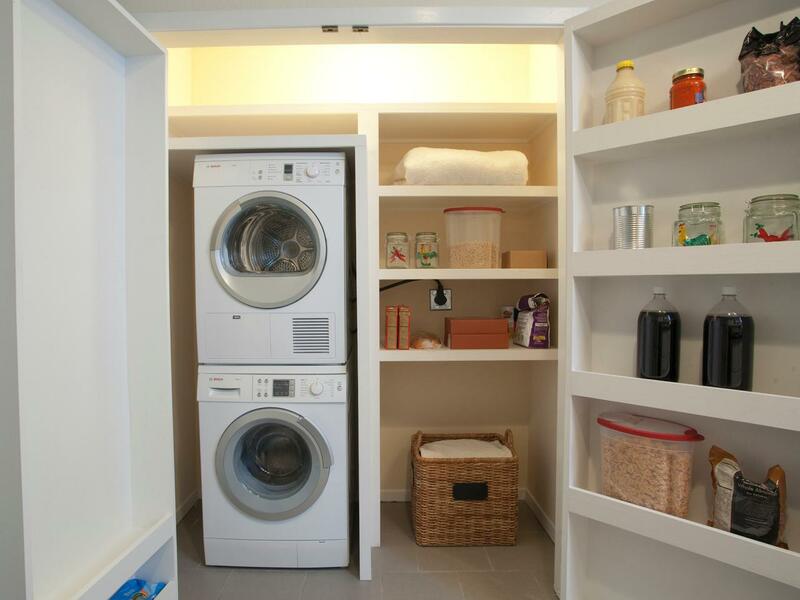 It completes the necessary with closet, drawers and even washer and dryer cabinet. 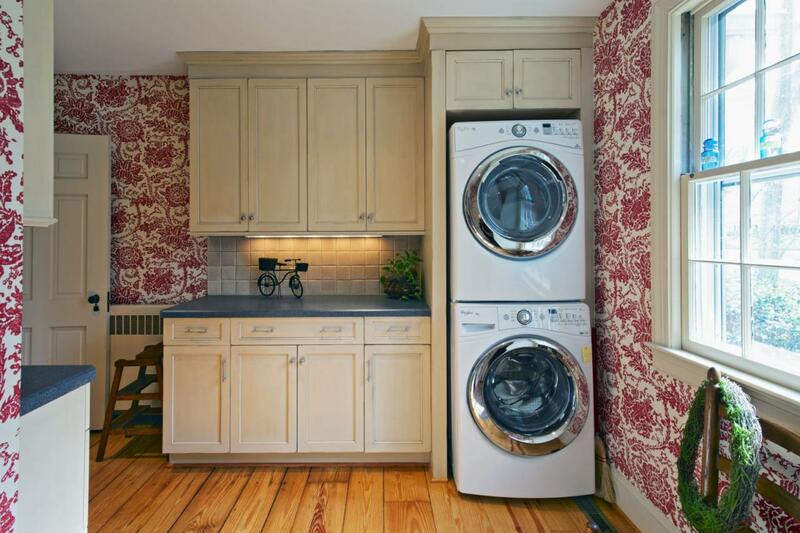 It stacks on the wall, so your small laundry room will never be ruined with messy look. 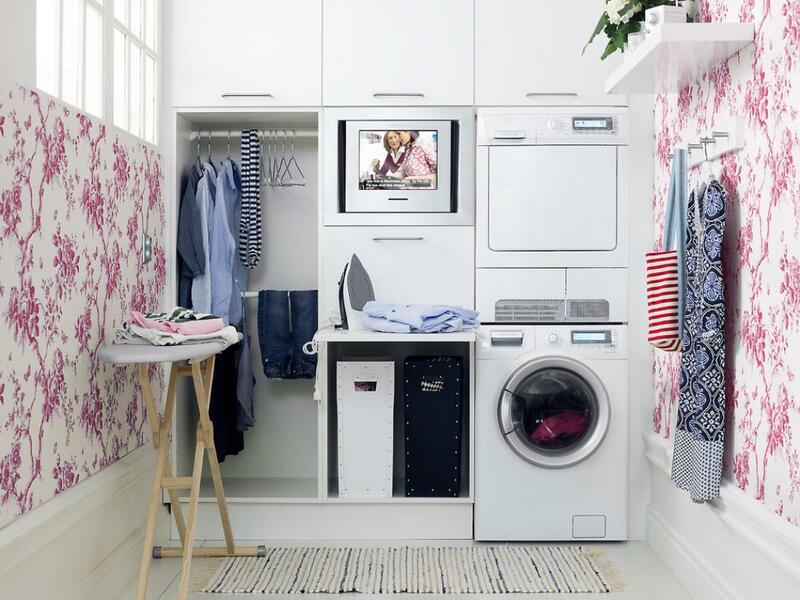 I like the pink floral patterned wall design, it livens the room up! 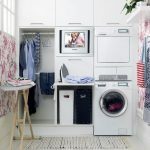 Again, it seems like a recessed washer and dryer cabinet design becomes the icon of the show. 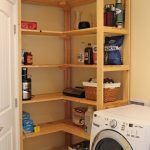 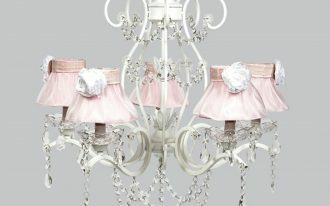 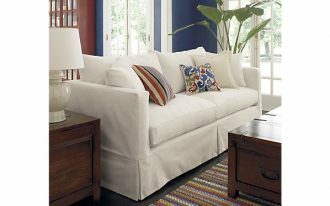 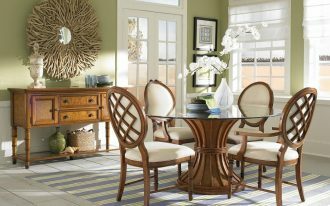 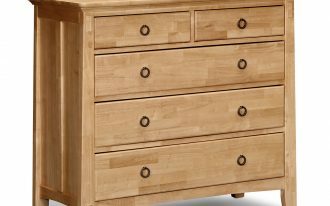 It saves the space of the room with other storage like racks and baskets. 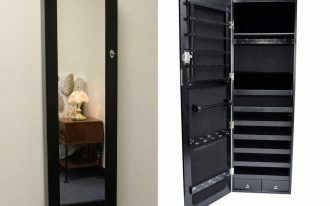 Thanks to the door storage added that is helpful to place some of your important things.